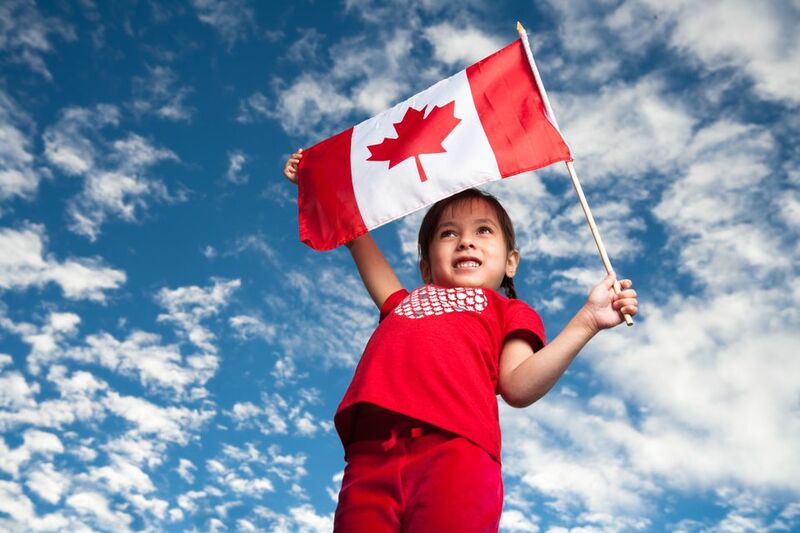 Here's a fun way to teach children about the country of Canada. These free word search puzzles using various themes related to Canada are great practice for spelling Canadian place names as well as being a good tool to reinforce concepts about the history, climate, and geography of the country. Play them online or print and solve on paper. Some of these free puzzles are in Adobe PDF format. If you need to download and install the free Adobe Acrobat reader, click here. Parents and educators looking for printable worksheets on Canada can make use of these easy to challenging games, listed in order of difficulty. Canada Word Search - Three-word search games for beginners can be found here. A good choice for early readers, the easy version of the puzzle uses pictures as well as words to denote the five themed entries. Older children will prefer the regular word search game with 17 Canada-related words in a medium-sized grid. There's also a challenging word search puzzle in which the name of the ten provinces and territories that make up the country are hidden in a large grid of jumbled letters. All of these games are available in either black and white or color. Canada Day Word Search | Mots-Cachés - Fête du Canada - This word game has a list of ten words consisting of symbols, places or things associated with the country of Canada. Play it in either of Canada's official languages; English or French. Canada Word Searches - Here, you'll find two-word search games devoted to Canada. The easier one has a list of ten words consisting of animals, symbols or games associated with the country. The more challenging 14-word game features the names of the provincial, territorial and federal capital cities in a large grid of letters. Canada Day Word Search - The 18 words featured in this game all have to do with Canada's confederation. Solution provided. Canada Day Word Search | Mots-Cachés - Fête du Canada - This challenging word search game features 28 words about Canada, including the nation's provinces and territories. Canada Word Search Geography Puzzle - This challenging word search worksheet has a whopping 35 words about Canada that need finding in a large grid of letters. Solution provided. Word Search - Canada Map - The most difficult word search listed here, this puzzle boasts of 40 Canada-related words in a grid which is shaped like the country. If you prefer playing word seek games online, here are several easy to challenging puzzles to play on your computer. Word Search Canada - A 20-word puzzle which lists the provinces as well as symbols of the country. Looking for a fun educational activity to help reinforce students' knowledge of Canada and the people who inhabit it? These crosswords are a great way for puzzlers of all ages to learn new words as well as important facts about Canada. The crossword puzzle worksheets featured here examine various aspects of the country and its history. All use the freeform format commonly used in most educational crossword games. The puzzles are listed in order of difficulty, from the easiest to the most challenging. Confederation Crossword - 12 entries pertaining to Canada's confederation and the men who made it happen are featured in this freeform crossword from Collections Canada. Solution provided. Canada Crossword - 13 words related to Canada's geography, symbols and government appear in this easy crossword puzzle worksheet. Canada Crossword Puzzle Worksheet - This 15-word crossword game is fairly challenging and requires a good knowledge of the country, its provinces and cities, political structures and indigenous people. Aspects of Government Crossword Puzzle - From Parks Canada, a 17-word puzzle that explores Canada's parliamentary system of government. Canadian Prime Ministers - This crossword contains 20 trivia questions regarding the men and women who have served in Canada's highest office. Aboriginal Treaties and Relations Crossword - The 20 entries in this puzzle look at the history of Canada's first nations and their (often stormy) relations with European settlers. Pioneers and Immigrants Crossword - This 20-word crossword puzzle focuses on immigrants to the country; their origins, where they settled, and reasons for emigrating. Canada's Constitutional History Crossword - This challenging crossword game has 26 clues pertaining to the history of the country and the institutions which govern it. These interactive crossword puzzles can be played on your computer. For older crossword puzzle solvers. Canadiana Crossword Puzzle - An interactive criss-cross puzzle with 30 entries pertaining to Canadian history, geography, politics, and celebrities. All About Canada Crossword Puzzle - This crossword looks at the towns, cities, lakes, rivers, people and historical sites of Canada. CANADA: A People's History Crosswords - If you prefer crossword puzzles that follow the standard, American-style format, then try these games by crossword constructor Kelly Anne Buchanan. The crossword puzzles featured here are based on episodes of the CBC series Canada: A People's History. Though these puzzles don't necessarily adhere to the standards used by most print publications (i.e., two-letter entries, etc. ), nevertheless they are a fun challenge and a great way to increase your knowledge of Canada's history. Seventeen puzzles, each one pertaining to a particular episode, are available for your puzzling pleasure. Play them online or print and solve. These games are better suited to older children and adults. These free jigsaw puzzle games all feature themes such as flags and other symbols of the country, its spectacular scenery and the animals which inhabit it. For a fun activity this Canada Day, try printing out this free jigsaw puzzle. Oh, Canada! Jigsaw Puzzle Craft - Print the map of Canada, color and cut out the puzzle pieces and assemble for a fun and educational activity. These puzzles use the Jigzone interface and are a good choice for beginners. Older solvers, however, can change the piece cut and the number of pieces for a more challenging game. Canada's Map, Flag, and Beaver - National Symbols Jigsaw Puzzle - This very easy six-piece jigsaw game is good for very young solvers. Child Mountie Jigsaw Puzzle - Another six-piece game for kids at the primary school level. 48-piece classic cut puzzles from JigZone. Canada Geese Jigsaw Puzzle - Native to the arctic and temperate regions of North America, these birds can often be seen flying by during their annual migration. The number of pieces in this interactive puzzle can range from nine to 180. Canada Map Jigsaw Puzzle - This online drag-and-drop jigsaw puzzle game helps youngsters learn about the geography of Canada and the names of its provinces. Youngsters at the pre and primary school levels can play these puzzling activities that don't require good spelling or learning new vocabulary words. These printable mazes and connect-the-dot puzzles are a great way for kids to develop their observation and counting skills. These puzzle games all make use of themes pertaining to the country of Canada or its Canada Day celebration. Maze puzzles are fun to solve for puzzling minds of all ages. Success in navigating a maze requires good concentration as well as the use of strategic planning skills. Below, we have several easy to challenging maze games with Canadian themes to print and solve. Canada Goose Maze - In this easy maze puzzle, the object is to help the Canada Goose find his pond. Canada Day Maze Puzzles - Here, you'll find two Canada Day maze puzzles of medium difficulty: help the boy find the Canada Day fireworks and help the Canada Day patriot find all the flags. Canada Maze Worksheet - Help the man find his way to Canada in this challenging maze game. Young children can gain practice in identifying numbers and putting them in sequence with these easy to challenging dot-to-dot activities. Canada Connect-the-Dots - Three themed dot-to-dot games for your puzzling pleasure: Maple Leaf (to 25), Canada Flag (to 8) and Map of Canada (to 36). Busy Beaver Dot-to-Dot - From the Canadian Coast Guard, a 66-dot game depicting a cartoon beaver making a phone call. Dot-to-Dot Mystery Map - Connect the dots in the puzzle. When finished, use an atlas or globe to figure out the mystery country. For older puzzlers with a good base in reading and writing, we have themed word scrambles and cryptogram puzzles with themes related to Canada. Or, try these quizzes and test your knowledge of Canada and its history, geography, and the people who have made their mark in the country. In these puzzles, a simple substitution cipher is used to break the code. These puzzles are print only. Girl Guides Cryptogram - Solve this easy cryptogram puzzle to discover a phrase well-known in the Girl Guides of Canada program (Girl Scouts in the USA). Bella Coola Heritage Website Cryptogram - Two cryptogram puzzles with themes related to a famous explorer of Canada. One puzzle is fairly short, the other is quite long. Brownies Cryptogram - No, this doesn't refer to a decadent chocolate bar cookie, but too young girls aged 7 to 8 participating in the Girl Guide program (Girl Scouts in the USA). Canada Cryptogram - This puzzle is part word scramble and part cryptogram. First, unscramble the words. Then take the numbered letters and place them in the box with the corresponding number to complete the answer to the riddle. Print. Are you a crackerjack Canada connoisseur? Try these free online quiz games and find out how many fun facts you know about Canada. Canadian Geography Quizzes - A number of fun quizzes pertaining to Canada's land and waterways, its people, history and much more. These games are available at various difficulty levels from beginner to expert. The Canada Quiz- -Test your knowledge of the geographic location of the provinces of Canada with this interactive quiz. Canadian Capitals - In this quiz game, the object is to match each capital city with the corresponding Canadian province. Canada Vocabulary Quiz - Match the Canada vocabulary words with the definitions. The words used designate place names or terms used to describe certain characteristics of the country and its people. Canada Quiz - Interactive trivia quiz for intermediate puzzlers. These quizzes operate on the same principle as the popular game show Who Wants to be a Millionaire?. Take the quiz and see if you can answer all the questions about Canadian geography.